A Deputy Minister of Information Pius Hadzide has admonished the Minority to spend time in reading the document on drones for the delivery of medical suppliers before attacking Vice Dr Mahamudu Bawumia of inflating the cost. Speaking to Kwame Tutu, host of Frontline on Rainbow Radio 87.5Fm, the Deputy Minister said, the deal will enhance the delivery of medical supplies at the fastest speed. The move he explained will also reduce the number of casualties in deprived communities where access to healthcare is not the best. But the Minority is accusing Dr. Bawumia of fraudulently and criminally inflating the cost and described the deal as a misplaced priority. According to Minority Spokesperson on Finance Cassiel Ato Forson, the company to execute the project Fly Zipline will be making over 600 percent profit on the deal. He is alleging the government is going to purchase drones, which should ordinarily cost about 100,000 dollars for 1 million dollars. But the Deputy Minister has slammed the Minority insisting that the deal is best for the country. The Health Committee of parliament has recommended the approval of the deal after the agreement was laid last month. 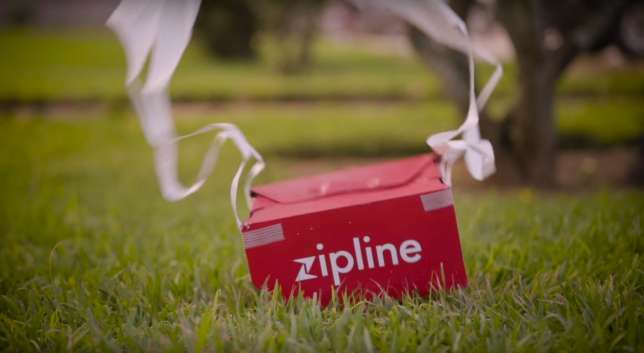 Chairman of the health committee in parliament, Dr Twum Nuamah recently disclosed that the committee’s report is a private partnership agreement between the Government of Ghana and Fly Zip line GH limited. He said the agreement is to for see a universal health coverage as a critical achievement of the sustainable goal, particularly goal 3. Parliament has also suspended the approval on a US$12m drone technology expected to distribute blood products in very remote areas of the country where quality healthcare delivery is hard to reach. This follows the discovery of some legal and regulatory issues in the contractual agreement between the Government of Ghana, represented by the Ministry of Health and Fly Zipline Ghana Limited.